Part of the coordinated Cadet® Suite, the low-consumption 1.28 GPF Cadet PRO™ toilets from our trade-only Cadet PRO line offer professionals great value, price and performance. These toilets feature the Cadet Flushing System for higher performance and fewer clogs, PowerWash® rim to ensure a powerful flush and superior bowl cleaning, and EverClean® surface to stay cleaner, longer. The Cadet PRO achieves the highest MaP bulk removal rating of 1,000 grams and comes backed by a 5 year warranty. 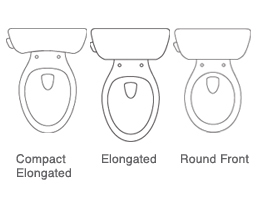 Cadet PRO toilets are available in a variety of models including elongated, compact elongated or round front shapes, 16-½” Right Height® or standard rim heights, all with a water efficient 1.6 GPF flush.